Combine soy, garlic, ginger, chili flakes, honey, salt and pepper in a small bowl. Heat coconut oil in a large pan over medium-high heat. 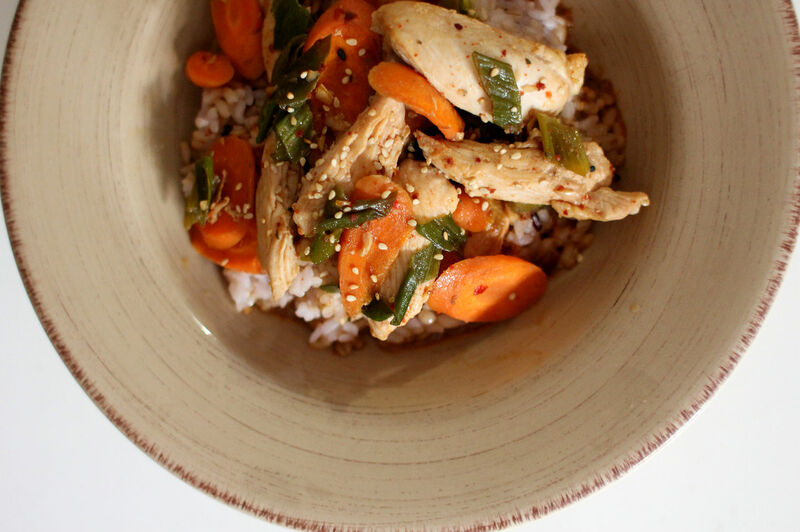 Add sliced chicken breast, carrot and spring onion to the pan and cook for 3-5 minutes until golden and half-cooked. Stir the sauce into the pan and continue cooking until cooked. Take it off the heat, serve on rice, sprinkle sesame seeds and drizzle sesame oil.